Ajapai is the special guest for the Blizzard of Bass Stage! 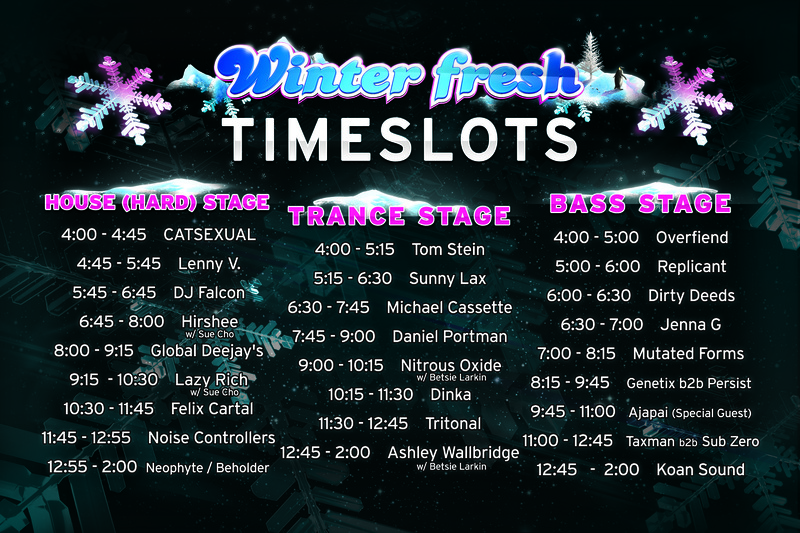 Winterfresh 2011 Timeslots and venue map posted ! Check out the latest Winterfresh 2011 Email Blast! In case you didn't receive it Sign up for our mailing list! Updates made to "General Rules & Regulations" section on the Winterfresh info page. Everyone please review the updated information by clicking on "Info" above. To add to your black Friday shopping we are keeping WinterFresh Music Festival tickets at $40 until 10pm tonight. After 10pm they will be $50! We regret to inform you that Gemini & Audrey Gallagher will not be performing at this years Winterfresh Music Festival. Gemini's US Visa will not be processed in time for him to enter the United States & Audrey Gallager has shattered her ankle and her doctors will not let her fly. Since our first event it has been our goal to bring you the freshest talent around the world. As we continue to do so, we encounter many obstacles, these being a perfect example of those obstacles. Gemini's talent agency is working diligently to ensure that he be able to travel with no issues in 2012 and Audrey has already said she would love to come back for a future show. As replacement's for Winterfresh we will be adding Persist to the lineup. He will be performing with Genetix Back2Back. In addition be having a Surprise Special Guest perform on the Bass Stage as an added bonus. We will also be adding a New International Vocalist to replace Audrey. Stay tuned to our social networks for more info as it is available. We are very sorry but both of these situations are our of our control. All of the other acts on the WinterFresh lineup are 100% Confirmed & All Flights have been Purchased. We look forward to seeing you all @ WinterFresh 2011. Meet and Greet your favorite artist! Posted this years promo poster image on the media page. We would like to thank everyone for making Fresh Days a huge success. Confirmed so far: Noise Controllers, Neophyte, Ashley Wallbridge, Dinka, Daniel Portman, DJ Falcon (Daft Crew), Nitrus Oxide, Audrey Gallagher (vocals), Jenna G (Live), The Beholder, Sub Zero B2B Taxman, Lazy Rich, Hirshee, Mutated Forms, Sunny Lax, Genetix + Many more headliners to be announced. Since our creation in 2005, more than 100,000 dance music enthusiasts have experienced what it means to be part of “The Fresh Movement”. As we move forward into 2011, Fresh Entertainment continues to set the standard for event production in Southern California by consistently bringing you the World’s Best International DJ’s, Live Acts and Performances, Full-Scale Concert Staging, Massive High-Quality Sound Systems, Mind-Boggling Intelligent Lighting and Lasers, Event-Specific Props and Decorations , and Intense Energy to keep the Vibe Alive, the Music Bumpin’ and the Crowd Goin' Wild! 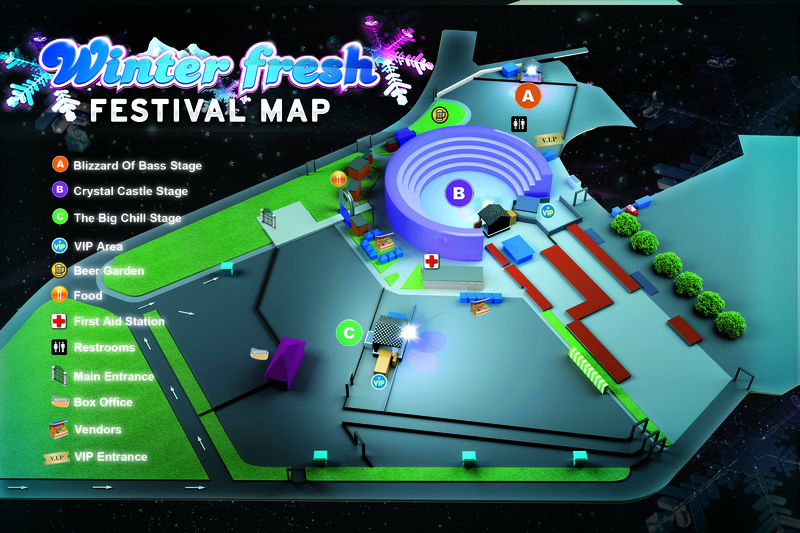 So have a look around and we look forward to seeing you at this year's Winterfresh Festival! 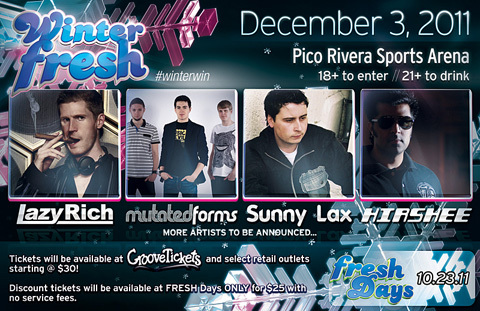 We are happy to announce that Winterfresh 2011 will be back at the Pico Rivera Sports Arena on December 3rd 2011. This years event will be open to everyone 18 years of age and above.